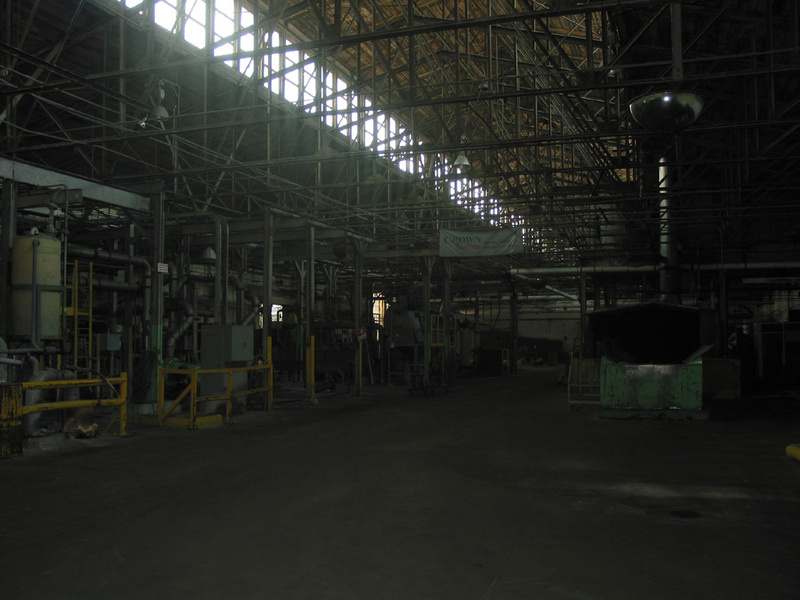 Unfortunately, by the time we got to Mill 1, the charge in my camera's battery was running very low, so I was not able to obtain many pictures of this older portion of the factory complex. 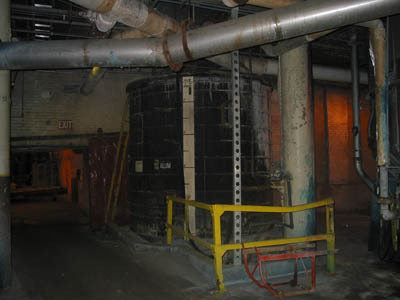 By all means feel free to peruse the few pictures of Mill 1 that I did get, but for a much more complete tour of a mill building, I would suggest taking a look at Mill 2. Mill 1 has been out of business for much longer than the more modern Mill 2, although I am not sure for how much longer. Mill 1 contains two paper machines (at least, we only found two), the Pusey and Horne machines. The Mill 1 complex also includes a testing laboratory and a parchmentizing plant, however the parchmentizing plant had been vacant for many years and had already been torn down when these pictures were taken. 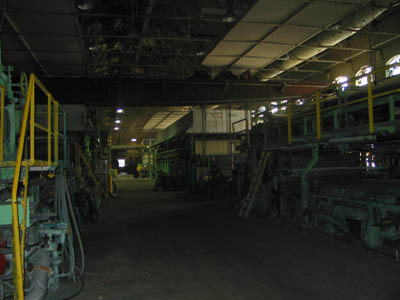 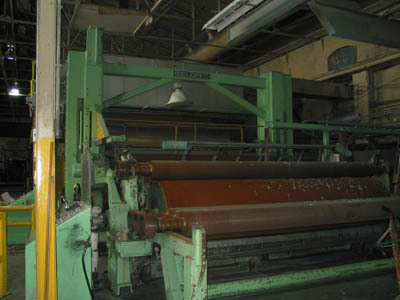 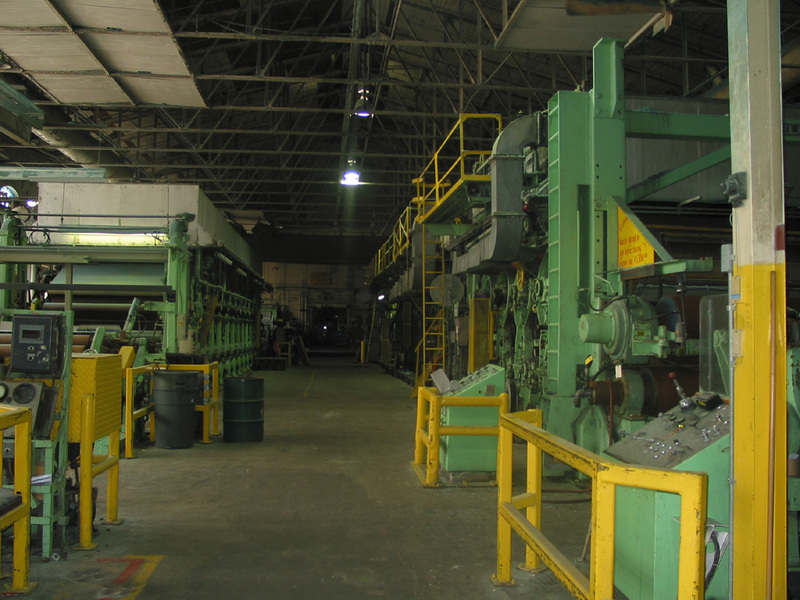 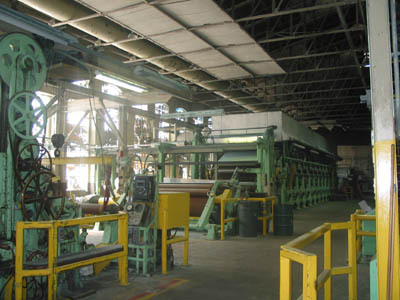 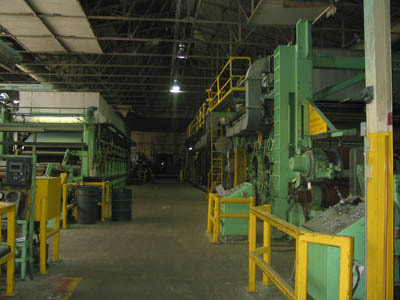 On the way to the paper machine room, we found this roomfull of pulping and other equipment. 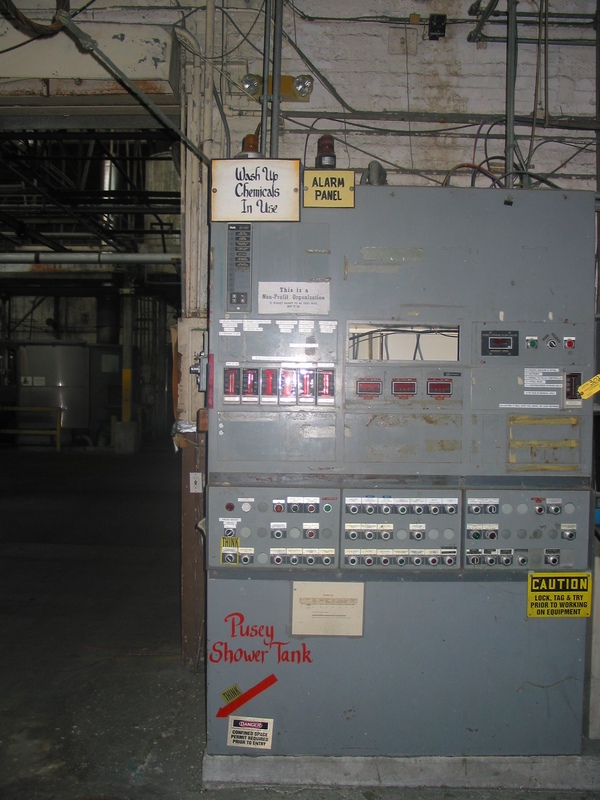 ...and one of the Horne machine. 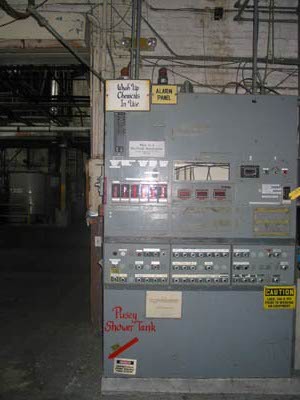 You really have to love that sticker on the Pusey control panel: "This is a Non-Profit Organization. It wasn't meant to be that way, but it is." 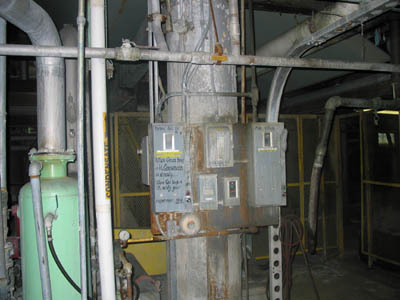 Here we have the dry end of one of the machines. And a look the other way back down the production line. 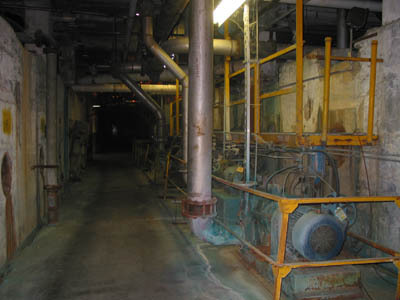 Now somewhere down in the lower levels of Mill 1, we find these stock chests and pump and agitator motors. A large alum tank rests down here. 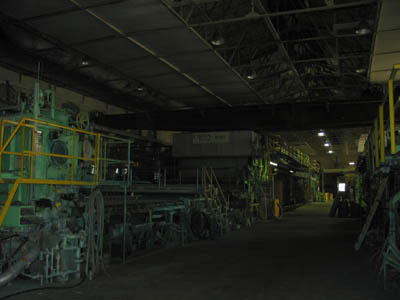 Alum appears to be another of those popular paper mill ingredients. 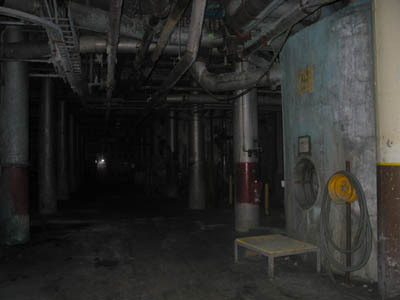 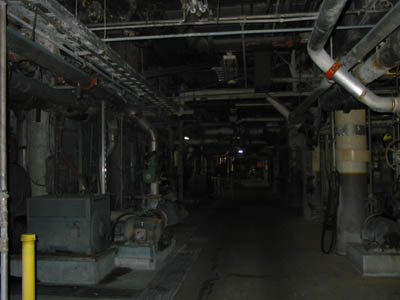 The lower levels of Mill 1 are dark and massive. The machinery down here would be better photographed with more light, or a tripod. 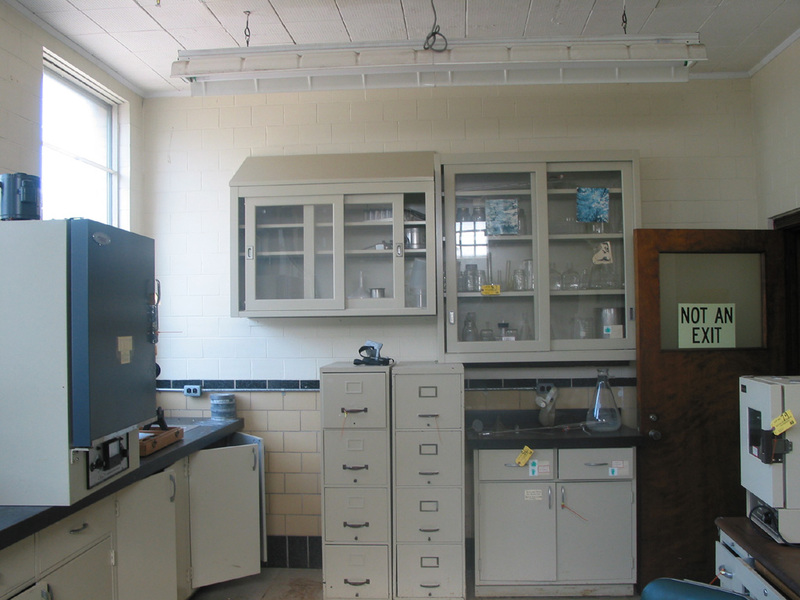 Coming back upstairs, we find the main laboratory. 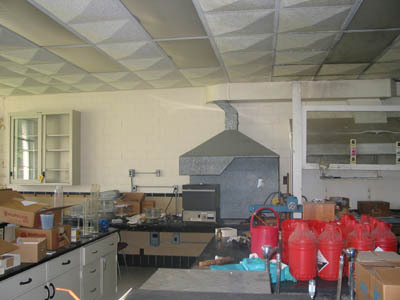 It looks like a pretty nice lab. 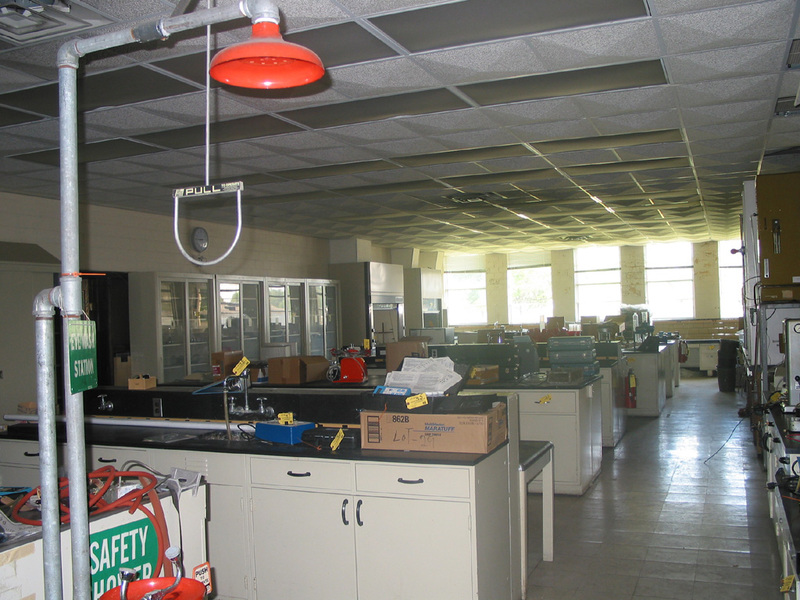 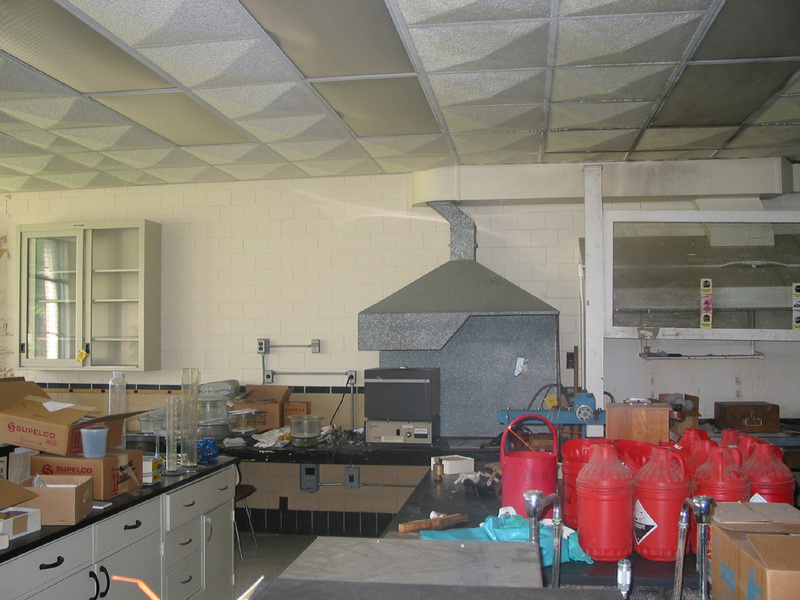 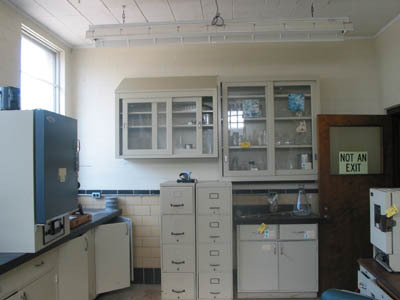 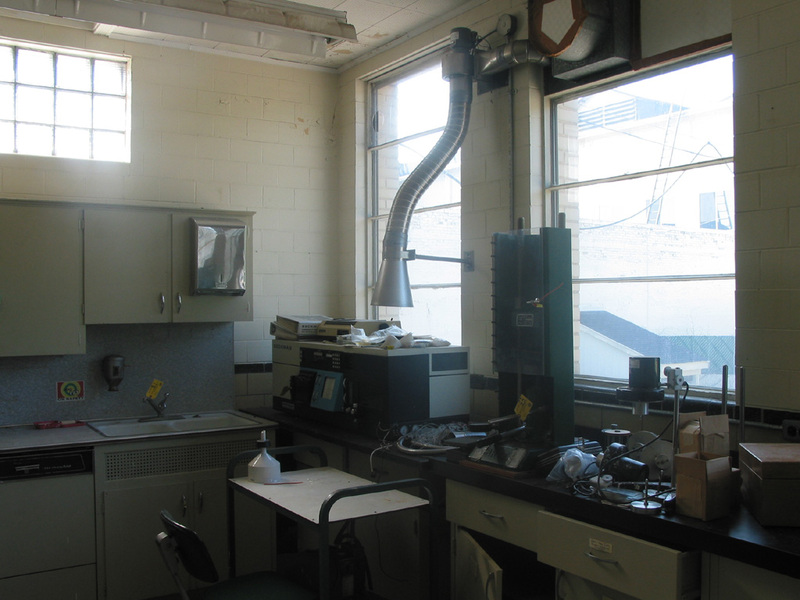 There are some smaller laboratories in rooms off of the main lab. Perhaps routine testing work was done in the main lab, and experimental research work was done in these sub-laboratories, or vice-versa. 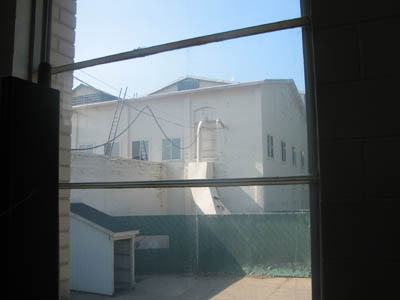 The smaller laboratory has a nice view of another part of Mill 1 out its window. Return to the Crown Vantage homepage.